Figure skater Michael Martinez is the Philippines’ first athlete to qualify for the Winter Olympics ever. In this year’s games held in Sochi, Russia, he is our lone representative. Entering his final two months of preparation for the games, the young phenom admitted he was already feeling the heat. At 17 years old, Michael is up against 29 other top figure skaters in the Sochi games. Despite his youth and frequent asthma attacks, Michael managed to rank 28th among the best senior-level figure skaters in the planet! Early in 2013, he landed 7th at the 2013 Nebelhorn Trophy in Germany that qualified him for this year’s Winter Olympics. To reach the finals, he needs to be part of the top 24 competitors in his category. The absence of government support compelled Michael to seek sponsors elsewhere. One of his biggest supporters is SM, which donated Php 1 million for his training and other expenses related to his Olympic participation. He was actually “discovered” in SM Southmall in Las Piñas when he was still in his formative years as a figure skater. Michael’s main supporter is his mother, Teresa, who accompanies him in his training and competitions abroad. She also knows first-hand how much the pursuit of Olympic gold can cost. “It will cost you half-a-million pesos per competition. You also pay for the airfare and hotel of the coach who charges $400 a day,” Teresa recounted, adding that Michael has already competed five times in 2013. “One of his coaches in the US charges $100 an hour, he has an Olympic coach that charges $150 an hour, and a choreographer that charges $130.” She said that adding ice time, the daily cost of training could easily amount to $500-600. The need for the coaches could not be stressed enough as Michael is yet to learn a crucial skill – quad jumps – a jumping technique with four revolutions. His Filipino coach Ted Domingo underscored the necessity of training abroad. “We’re talking about high level competition. In the Philippines, we still don’t have that kind of training,” he said. 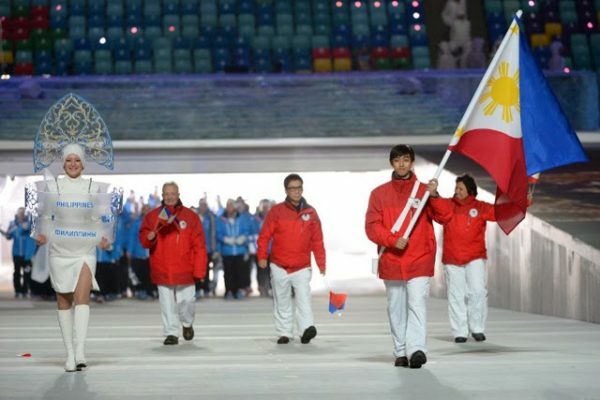 The Philippines has yet to win an Olympic gold, and winning one in figure skating, in Winter Olympics at that, would be sweeter. But Michael needs more than just a dream. SM has broken the ice, so to speak, and that is enough to help him make history – for now.